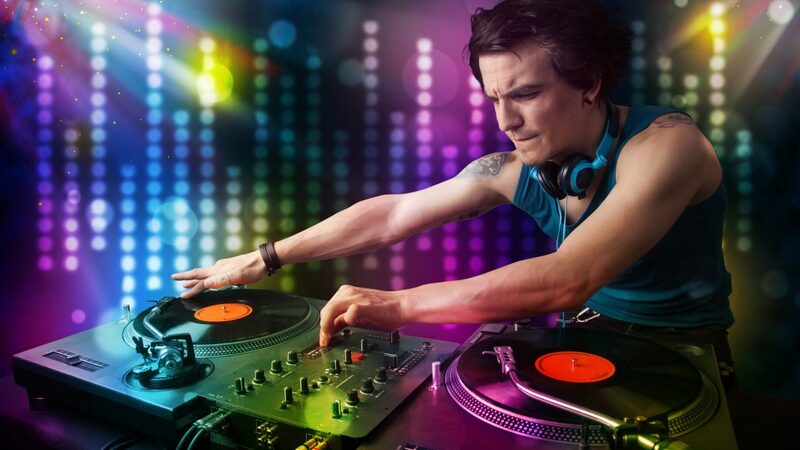 Latest News London corporate event DJs – 7 Things average DJs do wrong! What is your definition of the perfect corporate event DJ in London? Have you been asked to hire a corporate event DJ for your company’s upcoming event?. Two simple home truths you need to know, there are ways of doing it well, and also ways of totally messing it up!. So you have been asked to arrange the party DJ for an upcoming corporate event in London. You may have sourced a DJ through a local hotel, a restaurant, a social club, Social media or through google. We don’t want to scare you, but there is a high chance you will end up with the wrong DJ!. Unfortunately time and again we hear the same stories. The DJ was terrible, no one was dancing!. The music was too cheesy! The DJ only played one type of music!. The music was awful and just annoyed everyone!. The truth is, music technology has developed so much now that nearly everyone thinks they’re a DJ. Subsequently there are more mobile DJs available in London than ever before. However in reality there are only a small number of DJs that are suitable for corporate events. Having a look at the following will help you to decide if you are choosing the right DJ for your next corporate event. 7 things average DJs do wrong at corporate events and office parties in London. It’s a certainty the venue will tell the DJ when they are meant to start and finish. But what about everything else?. Corporate events and Office parties usually have speeches by CEOs, sometimes a few awards to be given out. There’s normally a buffet or more formal meal, quite possibly an event photographer, photobooth or other forms of corporate entertainment. Running-order wise, then, they can actually be a little more complicated that just playing some music!. How do you want the DJ to fit in around all these things? Is there anything you need? Any special music required to add the right dynamics at the right time and make the event more fun? You need a corporate event DJ who wants to talk about your plans both in advance and on the night. A professional corporate event DJ will double check on the night to confirm there have been no changes made, they won’t just assume everything is the same as originally planned, so effectively they have your back! This is a corporate event not a party in a nightclub. There are many other things going on both in your itinerary and the minds of your guests. It’s common place to find free bars, welcome drinks and wine on tap with dinner at most corporate events and office parties – it takes time and booze to bring down the barriers of office politics and the wariness between bosses and workers before people start even wanting to be there, let alone dance. You need a corporate event DJ that understands this and will gently increase the volume and tempo of the music at the right time. A DJ that knows how to play a long game. Not Smashing out EDM number ones within an hour of everyone arriving assuming everyone will miraculously dance! Does the DJ your hiring realise that play cutting edge house all night will more than likely kill the vibe. You know your audience are mainstream and not clued-up clubbers, make sure the DJ knows this. Many DJs have no clue!. None of your guests care about dance remixes, many DJs take themselves too seriously and let their egos take over. They focus too much on the DJ mixing skills rather than reading the crowd!. You need to know that they will play songs that people know and can dance to! Secondly, you have an age range probably from 18 to 60 to play to. That’s four of five decades of music. So you need to make sure you hire a London corporate event DJ that can deliver what you need! We have certainly moved away from the traditional old skool DJs that chat a lot throughout the night. At some high profile events it’s recognised that DJs are mutes! However when performing for corporate events just a few words every now and then can work wonders. That’s all that’s needed. Just introducing sections of the night (“let’s go back in time, this ones for team X!”, “this one’s for X, who is leaving the company today”) this kind of thing that breaks down barriers, gets people feeling friendly towards you, and encourages them to request a song and dance more. You definitely don’t want a DJ that chats too much or one that is a total mute! Make sure your event DJ is experienced on the mic! Often the DJ will be required to use the in house PA system at your chosen venue, Is your DJ experienced enough to coax the right sound out of it? To be honest many PA systems installed in venues for this purpose are not really suitable for DJ use. Strict noise restrictions enforced by local authorities mean you have no other choice. Many DJ don’t have the skill or experience when dealing with PA systems. They distort the audio by pushing a sub-standard PA system thinking louder music will make people dance, it won’t! Hiring a London corporate event DJ will ensure this never happens and the sound at your event remains crystal clear from the start till the last song of the night. There’s only one thing worse than a don’t-want-to-be-there, moody wannabe club DJ doing a bad job of DJing a corporate event or office party that he or she didn’t really want to play in the first place, glaring at a nearly empty dancefloor or checking their phone every 30 seconds from behind their consumer DJ controller – and that’s two or more such characters behaving in the same way. Come on, you’ve asked a so called professional DJ to do a job. That means they should turn up alone without the distraction of other people tagging along. make sure your event DJ is not planning on bringing any non professionals. It’s never the audience’s fault. You need to make sure the DJ knows it’s his responsibility to have people on the dance floor. The audience (to alter a well-known retail saying regarding the customer) is always right. Remember, at most corporate events dance floors are rarely packed all night! If the DJ has a steady flow of people on the dance floor then he is doing his job! Don’t be tempted to advise the DJ on what to play! feel free to make the odd request. If you pay sensible money for your corporate event DJ you will find everything runs smooth and to your satisfaction! You should expect to pay £500 upwards if you want to hire a corporate event DJ in London. If you expect to pay much less then be prepared for them to mess it up for you! Here at HD-DJ we have a great deal of experience, Click here to see many of our corporate clients. Click here to see our latest news blog page, where you can see blogs on many corporate events in London where we have provided the event DJs to create the perfect party.